Benjamins are delighted to present this two bedroom detached bungalow for sale in the South Nottingham Village of Keyworth on Clifford Close. 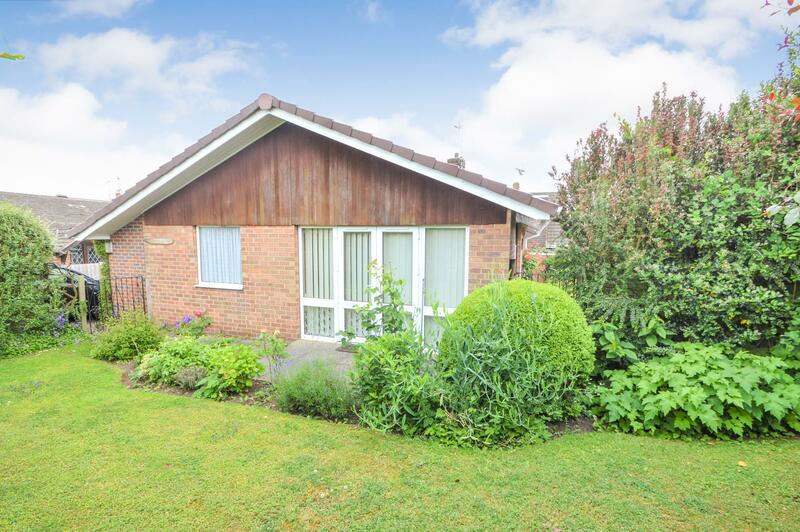 This detached bungalow is ideally situated on a corner plot. Shops and other local amenities are within easy walking distance together with regular bus services to Nottingham. 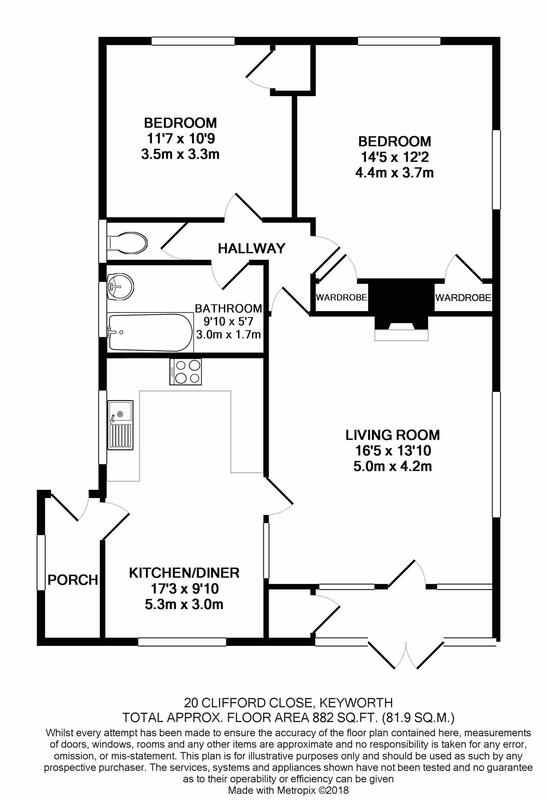 The property briefly comprises; Enclosed porch, living room, kitchen diner, side porch, two bedrooms, bathroom with separate W/C, driveway to the left hand side of the property, separate garage to rear, large rear/side garden. There is also a gravelled area which is separated from the lawned part of the garden which has in the past been used to house a motor home with borders able to be reversed to allow access off Adams Hill. Benefiting from gas central heating, UPVC double glazing. Viewing highly recommended, to arrange viewing please call Benjamins Sales on 0115 9371713.
upvc double glazed window to the front elevation with access leading to the living room. upvc double glazed window to the front elevation, two windows to the side elevation, gas fireplace with brick surround, radiator, coved ceiling. Double glazed window to the front elevation, double glazed window and door to the side elevation with access to the side porch/utility lobby, full range of fitted units with base and wall cupboards with working surfaces, incorporated full bowl sink with mixer tap over. Double glazed window to the side elevation, storage cupboard, access leading through to the Dining Kitchen. Double glazed window to the both the side and rear elevations, two built in wardrobes. Double glazed window to the rear elevation, built in wardrobe, radiator. Double glazed obscure window to the rear elevation, Avocado bath with shower head over, storage unit with incorporated wash hand basin, mirrored bathroom cabinet, radiator. The outside gardens wrap around the property from front to back with a long driveway and detached garage on the other side of the plot. The front garden is mainly laid to lawn with a variety of plants and shrubbery hiding the majority of the property from the street view. A gate then leads to the side and rear gardens which are also well maintained comprising of a paved area with lots of plant pots making it easy on the eye. There is space to house a motor home with borders able to be reversed to allow access off Adams Hill. The rest of the hedged borders hide the property well from Adams Hill as well as Clifford Close.